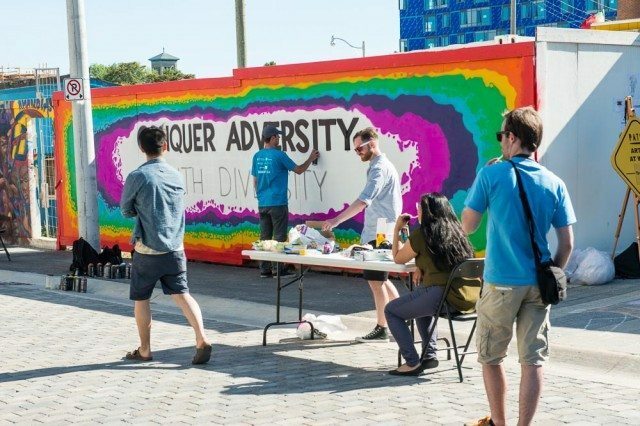 Members of the Regent Park community design and paint large-scale art works for the neighbourhood. WHEN: Saturday, June 7, 2–8 p.m.
WHAT: A live painting event hosted by the PATCH (Public Art Through Construction Hoarding) Project. The PATCH Project “installs permanent and temporary art in underused spaces, like construction sites, that strengthen community ties, and beautify the streetscape while building the capacity of emerging artists to exhibit in the public realm”—and on Saturday, it partnered with the STEPS Initiative, the Centre for Social Innovation, Daniels Spectrum, and UforChange to present this all-day event. 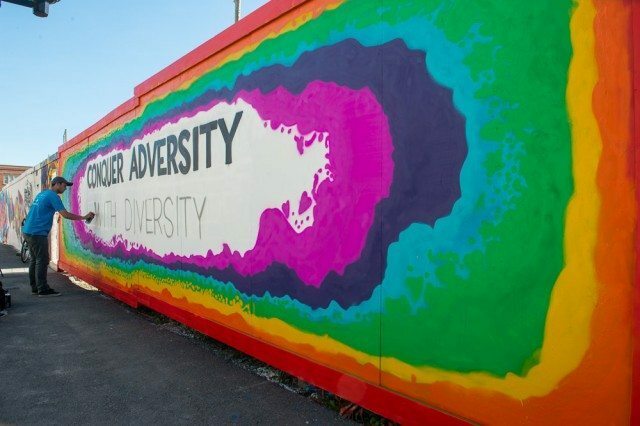 Lead artist Troy Pynn worked with community members to design and paint two large-scale works that will be installed on the Toronto Community Housing property on the east end of Daniels Spectrum.